When was the last time you checked into a hotel and received a traditional “hard” key? Right, it’s been a loooooooong time. Hotels ditched keys a while ago for key cards. But they aren’t done innovating. Hotels have a great feel for what their guests want, and they listen well. You know what else guests do not enjoy – check-ins. Hotels are listening and times are changing…fast. While they’re at it, hotels are using this smart conversion as an opportunity to “go green” and save money along the way. Hotels see the Internet of Things (IoT) as a BIG opportunity. Double-down on smart energy management. You can find my related posts on similar topics below. For now, let’s dive into the current state of hotel technology. 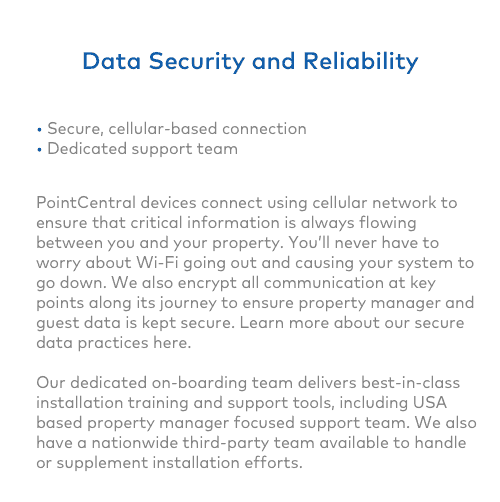 This year hotel owners and operators will spend more money than in previous years on guestroom technology. 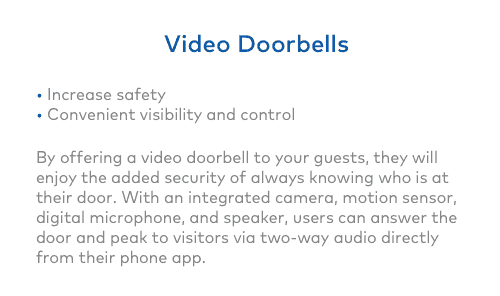 Not surprisingly, mobile enabled features are a priority for a variety of applications, from door lock access, to television controls. It’s becoming a major trend for hotels to reengineer the check-in experience for guests. 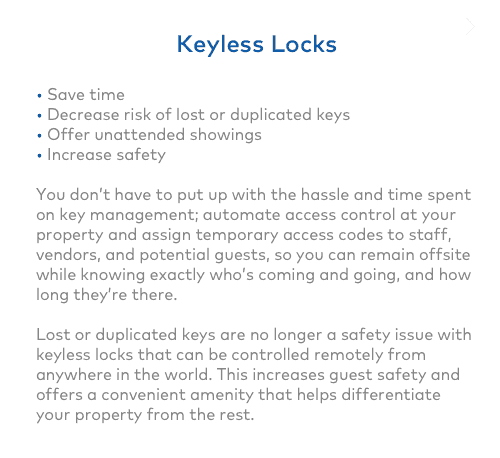 This retooling will include a streamlined process for accessing the guestroom through either RFID keys or mobile devices. Since heating and cooling is the number one expense behind labor, properties focusing on smarter environmental control management by determining if a room is occupied and automating room temperature. New smart thermostats allow hotels to save considerable money and energy by automatically increasing or decreasing room temperature when the guest is not in the room. 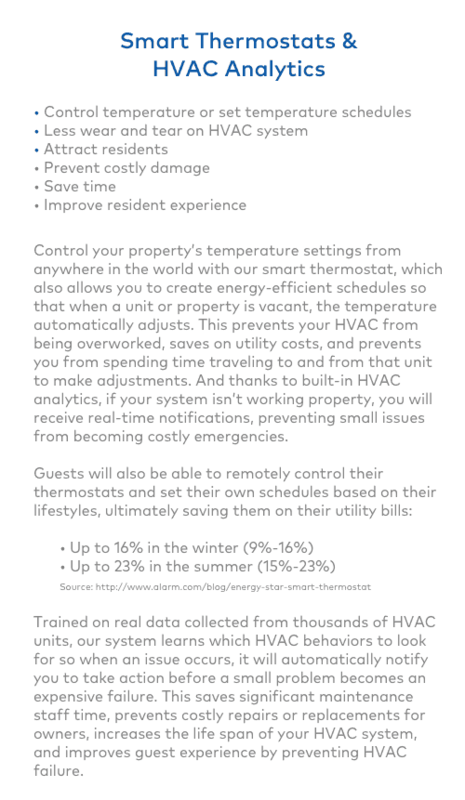 The Westin Buckhead Atlanta installed smart thermostats in all 365 guest rooms two years ago. This resulted in as much as 50 percent reduction in energy costs in some months and a significant decrease in guest complaints regarding room temperature. “We are also better able to control guest comfort because if a room is not returning to the correct temperature quick enough, the product alerts our engineer and we can correct the problem before the guest is even aware of the issue,” says Robert Attaway, director of engineering, Westin Buckhead Atlanta. 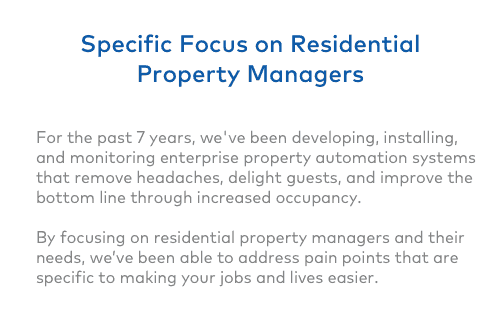 Can vacation rental managers keep pace with their primary competitor – hotels? There is still a lot of work to be done, but I’m happy to report that the smart home trend is taking hold in the vacation rental industry as well. 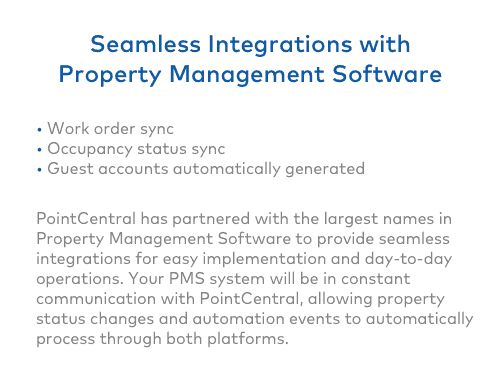 PointCentral has 40+ VRM clients, all 100% referenceable. 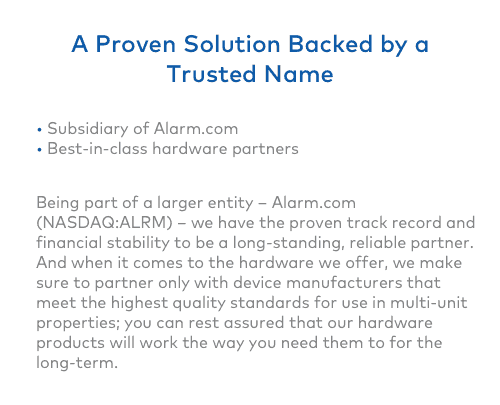 4,000+ VRM systems live every day. Here’s to a smart 2015!